SNK has confirmed that its reboot of Samurai Shodown will release worldwide on June 27, 2019 for the PlayStation 4 and Xbox One, and sometime later this year for the Nintendo Switch and PC. Accompanying the announcement was a new trailer that shows off the game’s characters. The reboot’s three original characters include the previously announced Darli Dagger, Wu-Ruixiang, and Yashamaru Kurama. Darli Dagger is a shipwright who wields a giant saw. She was washed ashore an island as a child and was taught survival techniques by pirates. Wu-Ruixiang serves the Qing dynasty and is a descendant of an ancient feng shui clan. She is described as a wise but clumsy character who can summon divine beasts as well as a dragon. Last but not least, Yashamaru Kurama is a fallen samurai. Following the unjust execution of his father, he developed hatred for the Shogunate, and fights against those who exploit the weak. Yashamaru wields a memento nagamaki sword. The aforementioned characters bring Samurai Shodown‘s roster to 16 fighters. Returning characters include Charlotte, Earthquake, Galford, Genjuro, Hanzo, Haohmaru, Jubei, Kyoshiro, Nakoruru, Shiki, Tam Tam, Ukyo, and Yoshitora. SNK also announced a Season Pass for the game, which will add four additional characters in August, October, December, and February 2020, respectively. Gematsu reports that alongside the regular physical and digital releases, Samurai Shodown will get a digital Deluxe Pack that includes the Season Pass. 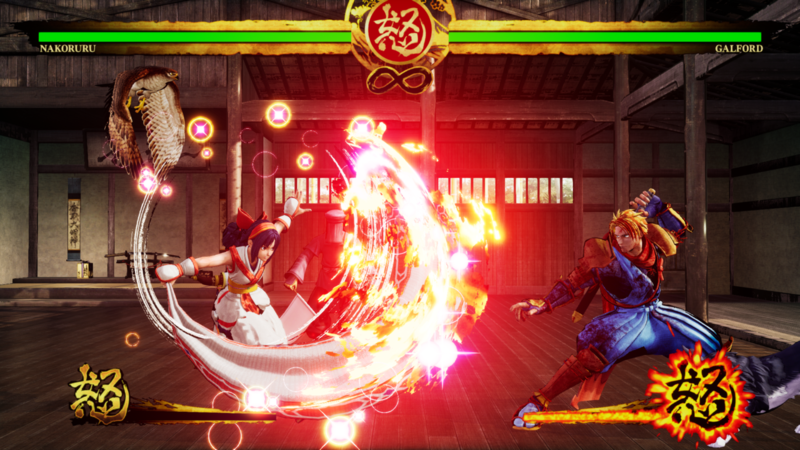 Those who purchase the standard version early will receive a “Retro 3D: Haohmaru” costume, and early buyers of the Deluxe Pack with Season Pass will be rewarded with the “Retro 3D: Nakoruru” costume. An additional bonus of a 10 percent discount awaits those who purchase the game via the PlayStation Store or the Microsoft Store before July 16. Samurai Shodown is also set to receive a NeoGeo Collection for consoles and PC this fall. A release date will be announced in due course.